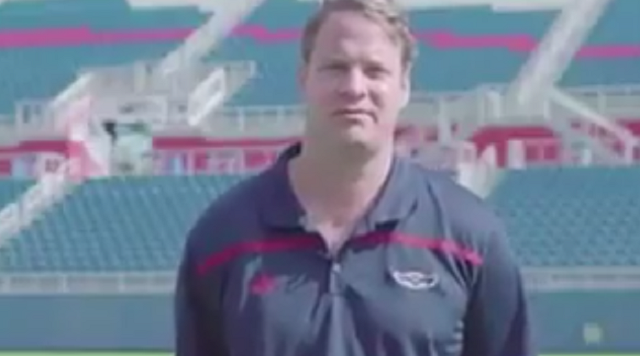 Lane Kiffin doesn’t seem too happy about his new job at Florida Atlantic. In a promo video for national signing day, the poor fella sounds like he’s reading a ransom note. Maybe Kiffin just realized that by not honoring the commitment of a player who was recruited by the previous coach, the recruit’s powerhouse high school is now freezing out Kiffin.